AviaAM Leasing, a global aviation holding company, engaged in tailored aircraft leasing and trading services, has announced the delivery of two Airbus A321-211 aircraft to Canada's leading holiday travel airline company - Air Transat. 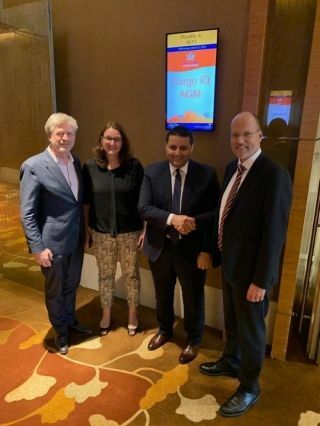 Royal Air Maroc has become the latest airline to join Cargo iQ, signing up at the International Air Transport Association's (IATA)'s World Cargo Symposium (WCS) in Singapore this week. Etihad Airways today announced an improvement in core operating performance of 15% in 2018, 7% higher than forecast, on revenues of US$ 5.86 billion (2017: US$ 6.0 billion). The airline reported a loss of US$ 1.28 billion for the year (2017: US$ -1.52 billion). CSALP is pleased to announce it will soon change its name to Airbus Canada Limited Partnership. The new name reflects the majority interest of Airbus in the limited partnership since July 1, 2018. 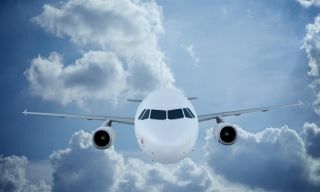 The organisation will adopt the Airbus logo as its single visual identity. Boeing Co's stock took another beating on Tuesday, knocking off more than $25 billion from the planemaker's market value over the past two days, as more countries lined up to ground its 737 MAX 8 aircraft following Sunday's deadly crash in Ethiopia. 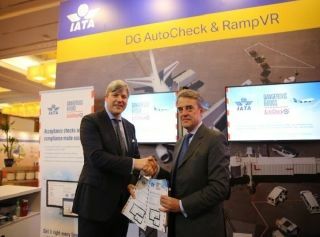 Air France KLM Cargo (AFKL Cargo) has become the first airline group to adopt the International Air Transport Association's (IATA) newly developed Dangerous Goods AutoCheck (DG AutoCheck) for the acceptance of dangerous goods shipments. BOC Aviation Limited ("BOC Aviation" or the "Company") is pleased to announce its audited financial results for the full year ended 31 December 2018. Vietnam Airlines announces the decision to move its Moscow operations from Domodedovo to Sheremetyevo airport starting July 2, 2019. 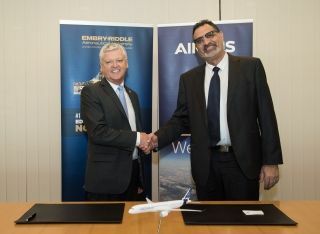 The AirBusiness Academy and the Embry-Riddle Aeronautical University (ERAU) in Singapore have signed a Memorandum of Understanding (MoU) to collaborate on delivering aviation education and management training programmes for students and talents in the region. 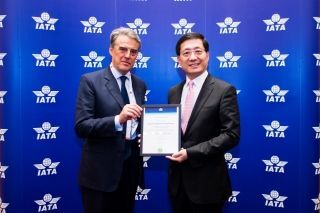 Hong Kong International Airport (HKIA) has been recognised by the International Air Transport Association (IATA) as a Partner Airport of IATA's Center of Excellence for Perishable Logistics (IATA CEIV Fresh), the first airport community in the world to receive the IATA CEIV Fresh Certification. The recognition epitomises HKIA's excellent capability in the transportation and handling of perishable cargo, through its efficient, dedicated facilities and services provided in a stringent temperature-controlled process at globally assured standards.